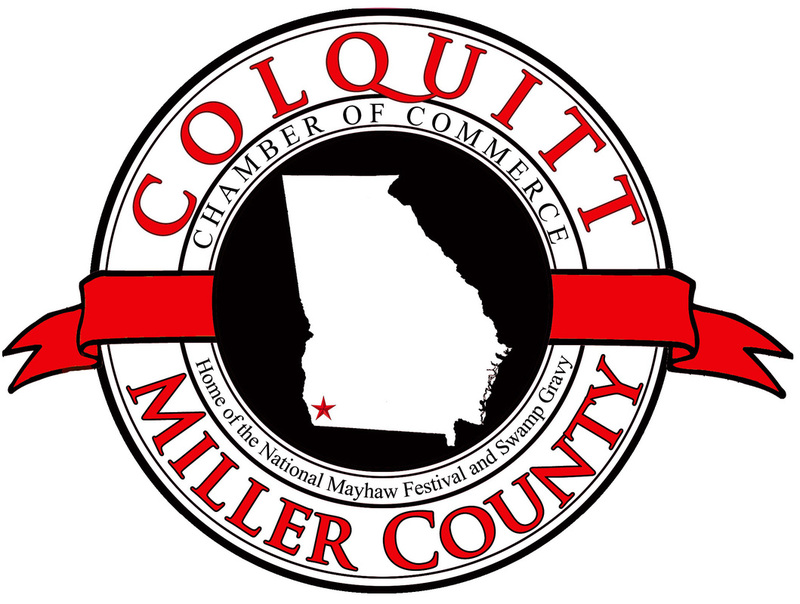 Who is the Colquitt-Miller Chamber of Commerce? A voluntary action organization, made up of an association of business people and concerned individuals working to improve the economic and cultural vitality of our community. The Chamber is independent of all other groups and organizations, and is the acting voice of the Colquitt-Miller County business community. We strive for a better community. We consider our self an information bureau, a business agent, a goodwill ambassador, and a sales manager for our local partners. The Chamber of Commerce answers over 10,000 phone calls annually questioning the businesses, activities, lifestyles and social aspects of our community. Others can rely on our source to find your business. The Chamber works to promote all elements and events of our community, including, but not limited to events sponsored by the Colquitt-Miller Arts Council, Miller County School System, City of Colquitt, and Miller County. Colquitt Miller County Chamber of Commerce also has benefits for chamber members through the Drugs Don’t Work Program. You can also check with your local insurance insurance provider to see about discounts on your insurance coverage because of your membership. Any individual, business firm or corporation who subscribes to the purposes and basic policies of the Chamber may become a member upon payment of the application dues. Members in good standing, regardless of classification, shall be eligible to participate in the business meetings or to serve on any elective or appointed positions. The Board of Directors shall have sole authority to determine in which category a prospective member will be classified. If you would like to become a member of the Chamber, please contact us. Or, if you would like more information or have questions, please call us at 229-758-2400. We are here for you!